Follow these 5 strategies to ensure you meet your long-term goals. Why is it so difficult to stick with a long-term savings plan even when we truly consider our future goals to be just as important as — if not more than — our current desires? Chalk it up to our hardwiring: The rational side of the brain is often drowned out by the emotional side. Good news: It’s possible to outsmart those (very persuasive) instincts that encourage us to spend even when we know we should be saving. 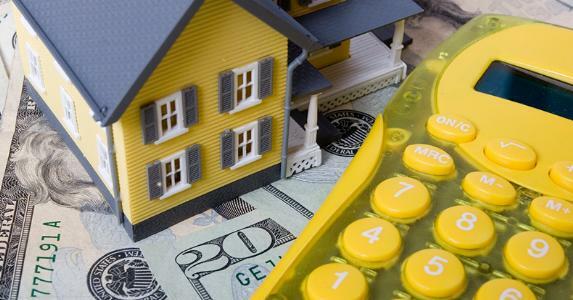 Here’s how to save money for a down payment — or any other long-term savings goal — without letting those instincts get in the way. If your money is hard to get to, those impulse buys won’t be as easy to make. Put up some roadblocks by moving your savings from your checking account into a separate account that doesn’t have a debit card attached. Better yet, if you’ve got a separate emergency fund and you’re comfortable with not being able to access it immediately, move it into a money market account or other account with a higher interest rate and forget about it (unless you’re adding to the bottom line, of course). Take the task of saving out of your control and set up an automated account that diverts a certain amount of your income each month into a savings account. Because it removes the rationalization factor (“Should I save this month or skip it?”), it also removes the emotional act of negotiating with yourself. Avoid settling for immediate gratification by forcing yourself to acknowledge your long-term goal regularly. Try posting a picture of your dream home in a highly visible area, pinning some money-saving quotes on your Pinterest board, or creating a clear savings timeline with specific number-based savings goals and saving it to your desktop to update with your daily progress. Computers and smartphones make spending an ever-present option. Spending shouldn’t be forbidden. Instead, skew the act of spending to your favor. So you really want those new boots? Match that spending with an equal contribution to your down payment. Sometimes the pain of doubling a cost is enough to deter a purchase. In the case you still choose to spend, the matched contribution ensures that at the very least you’re still taking measures to save. Can’t turn down a great sale? To piggyback a good habit onto any impulse purchase, take the sum that was discounted on your sale item and add it to your down payment savings account.